Speaker: Erik Ohlsen/Permaculture Artisans Featured in the film! Erik Ohlsen is a licensed contractor, founder, and owner of Permaculture Artisans, an ecological farm and landscape company. Erik is a renowned certified permaculture designer, and certified permaculture teacher and has been practicing permaculture and ecological design since 1998. Some experts are predicting less than average rainfall this year in California due to a La Niña effect, a phenomenon that often follows El Niño conditions. It is important that we take steps to adjust to these new persistent drought conditions in California and beyond. The good news is that there are many technologies and techniques that we can adopt to save a significant amount of rainwater from being wasted down the storm drains. 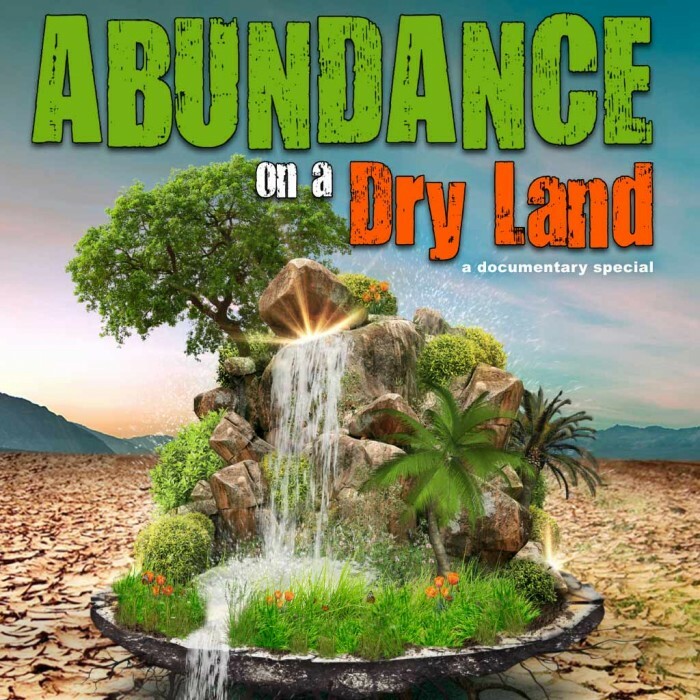 The film Abundance on Dry Land will introduce you to some of these solutions. In this state and in many other dry regions around the world, land restoration helps water penetrate healthy soils and in turn increase crop yields. Even in dry areas, water which typically might run off, can be harvested and stored in tanks, ponds and swales. By using gabions, biodiversity, mulching, pioneer trees, wild and domestic animals, swale systems, check dams, fruit forests, keyline plows, compost teas and many other methods, it is possible to restore the soil and design new productive landscapes. This film explores the work of Erik Ohlsen, Geoff Lawton and other growers, permaculture designers and educators, showing how intentional design can benefit both humans and nature. LOCATIONS: northern and southern California, Arizona and Jordan. This film is sponsored by Sustainable Fairfax and Fairfax Parks & Recreation.